A man covered head to toe, except for his shiny nose, enters the town and begins doing strange experiments. He is strangely irritable and eccentric cursing at anyone who enters his room. Soon impossible robberies begin happening throughout the town. The Invisible Man is an interesting novel to read since it doesn't exactly have a protagonist. 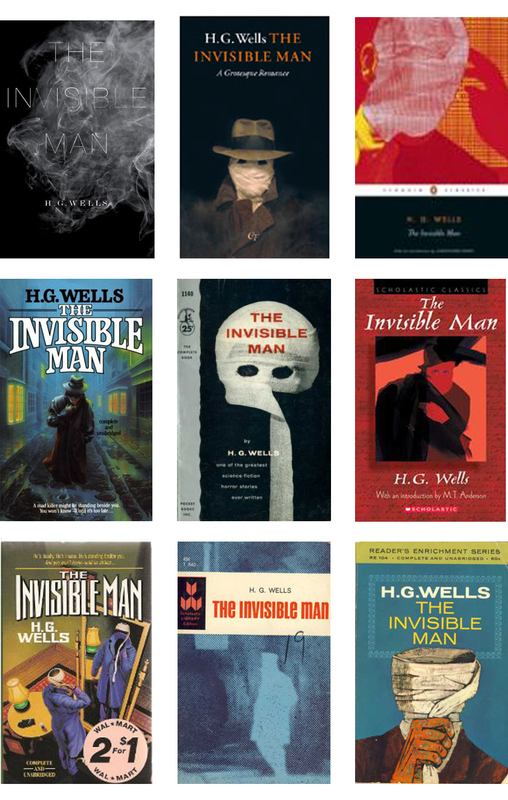 We follow the observations of various townfolk who come into contact the invisible man, but, much like the Great Gatsby, we never get our protagonist's point of view. The end provides quite the payoff. The invisible man starts a a potentially persecuted scientist, but we soon learn that he is a deranged madman. The funny thing is that he was always a madman even before the transformation. The movies make it seem like the serum drove him mad, but the book's idea of his own selfishness causing him to create the serum is fantastic. The slow reveal serves to build his fall and it works. The only problem is that the middle seems a bit aimless. Doctor Kemp is the only one who stands to compete with invisible man. It is interesting that Kemp does it by showing some compassion and trying to understand the invisible man. However, Kemp soon realizes that he's nuts and comes up with some rather inventive ways to combat him. The others in the story range from stupid peasants to baffled onlookers. They are alright, though many of their stories seem superfluous: like cutting away from a murder to describe a little girl's point of view of the victim walking before he is killed and then saying it isn't reliable. The descriptions in this book provide a nice look back into the late 19th century. Also, the descriptions of the weakness of the invisible man as well as his strengths are rendered beautifully. The end is a tense chase to stop the invisible man before he can subject the town to his reign of terror. It does switch to the perspective of one of Kemp's neighbors rather than staying with Kemp, as it should have. The final defeat of the invisible man is wonderfully gruesome. It ends on a sort of cliffhanger showing that an invisible man can still be made. 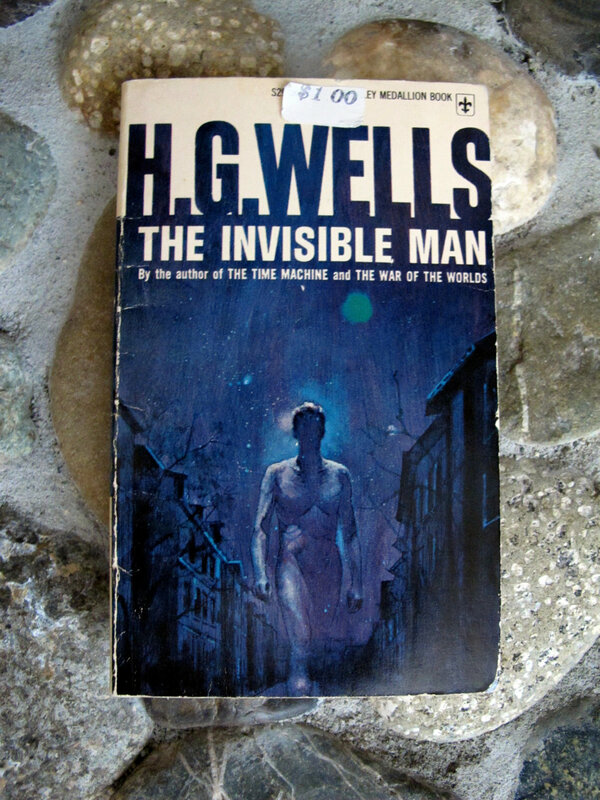 This book is basically dressing down the superpower of practical invisibility. 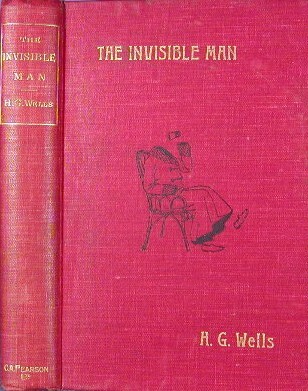 Often thought of as a great power, this book proves that if you don't think through the invisibility it can be a curse. It is handled with the thoroughness that has caused Wells to be called one of the grandfathers of Science Fiction. So read it on Project Gutenberg and Kindle! Also, the 31 Days of Macabre Movies are still going on at The Good, The Bad, and The Magnificent! So check them out!